The story of the Nigerian film industry popularly known as Nollywood without the name of Teco Benson, MFR will not be complete. He is an accomplished award winner film director by all standards. He is the Managing Director /CEO of his company TFP GLOBAL NETWORK. He started his career in the beginning era of Nollywood and has been able to evolve making great impact in the process and building a brand “Teco Benson” that has become a household name not just in Nigeria but world over. He has spent the past 20 years of active film making in Nigeria with history of consistency, quality and attention to details. 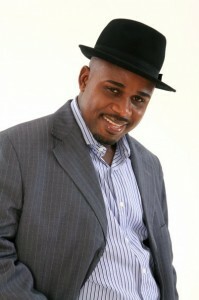 He is affiliated to Directors Guild of Nigeria (DGN) as a Member, and Association of Movie Producers (AMP) as a Member. Pioneered Action film making in Nigeria with movies that helped in shaping public opinions and fore warned Nigeria of what is happening today and how to handle them, e.g. State of Emergency, Executive Crime, Terror, War Front etc. Produced and directed several big budget productions and has been able to manage and coordinate lots of human and material resources even under extreme pressure. Established budgets/Schedules and monitored their progress and expenditure. Trained and mentored several young film practitioners that are actively involved today in the film production process earning a descent living. His main Objective going into film making is to use film as a conscious medium of communication with a view to effecting behavior change, especially restoring/upholding values, upholding issues of morality, upholding the sanctity of life and above all restoring the belief in our Nation, Nigeria as one indivisible entity. His Film Producing skill date back from the early 90’s with special interest in topical issues. He also has good managerial skills acquired throughout my 20 years of leadership in the film production process and through my 3-year engagement with civil service as head of health department and PA to the Sole Administrator of Anambra State Environmental Protection Agency. Scores to Settle, Suicide Mission, Cursed from Beyond, Compromise, Abandon, Atrocity, Narrow Escape 1, and Confusion. Directed the HEIR APPARENT reality show (A TV Reality show that aired on NTA Network in the last quarter of 2010) HEIR APPARENT Brand is a federal government project sponsored by the NATIONAL ORIENTATION AGENCY. Beyond Nigerian borders Teco Benson MFR received from California Legislature Assembly a Certificate of Recognition by the 5th Annual Silicon Valley African Film Festival for fostering a rich and positive impact to strengthen the culture of their community. He has served as a member of the federal government delegation to Ghana in 2005, that mediated in the crisis between Nollywood and Ghana film Industry. He was also part of the five-man delegation that represented Nigeria at the 32nd Cairo international film festival, held in Cairo, in Egypt. In 2006, he represented Nigeria film industry with his movie titled Explosion in Israel, during a cultural festival tagged fresh face of Nigeria held at the famous Givatayim theatron in Telaviv, where it premiered to a full international audience. In 2007 his blockbuster 35mm film, Mission to Nowhere launched Nollywood to international cinemas, securing general release in all the chains of elite cinemas in U.K, Dublin, Scotland, and Nigeria. In 2011, he represented Nigeria and delivered position paper in Copenhagen, Denmark during the cultural festival organized by the Danish film Institute. Also in 2011, he represented Nigeria at the International Documentary film festivals held in Johannesburg, South Africa where he presented his perspective on the effects of piracy. In 2003, he was given a special recognition by Alhaji Teejan Kabbah, the then President of Sierra Leone for his efforts in the movie Blood Diamonds, the first Sierra Leonian made movie. Resigned in 1997 to devote more time for professional film production, which he combined on part-time since 1994. His movie “ACCIDENT” Winner of the 2014 Best Nigerian Film (AMAA) Award. Chy, a successful Nigerian female attorney takes on a case that may well be the last case of her career. A client wants to divorce his wife after 15 months of marriage, but when the woman turns up dead, Chy finds herself entangled in a web of deceit, scandal and jealousy. Accident is a fascinating courtroom drama with twists and turns that will keep the audience guessing.